Insert the bezel into the module as shown. 2. Turn the ODD Module around and secure the bracket with the two screws, as provided. 3. 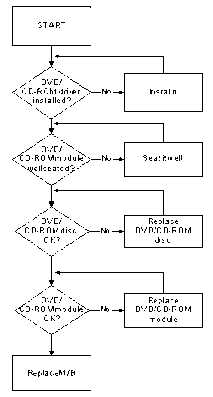 Insert the ODD module into the bay as shown. 4. Replace the single securing screw. 3. 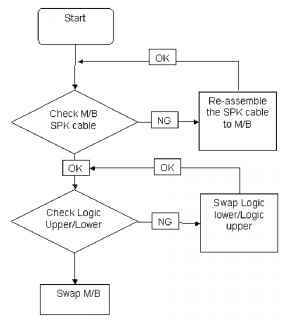 Insert the ODD module into the bay as shown. 4. Replace the single securing screw. 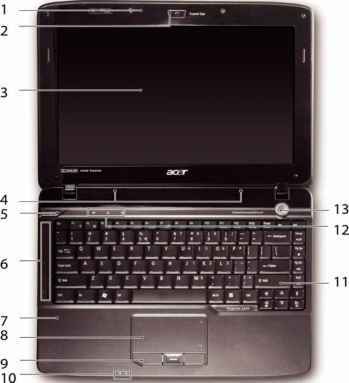 Replace the Finger Print Reader board in the upper cover. 2. Align the bracket and replace over the board. 3. Replace the single securing screw. 2. Align the bracket and replace over the board. 3. Replace the single securing screw. NOTE Carefully insert the FFC cable ends fully into the connector. Take care to line up the cable square with the connector before securing the FFC connector latch. 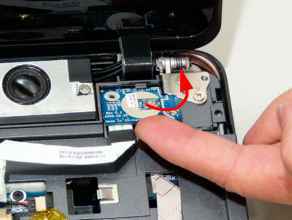 Reconnect the cable to the module as shown. 2. Insert the module into the lower base as shown. 1. Reconnect the cable to the module as shown. 2. 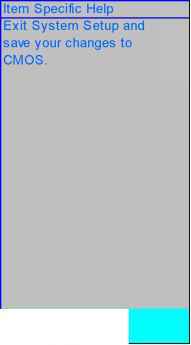 Insert the module into the lower base as shown. 1. Insert the board at an angle, pivot and set it down 2. Replace the single securing screw. in place. 1. Insert the board at an angle, pivot and set it down 2. Replace the single securing screw. in place. 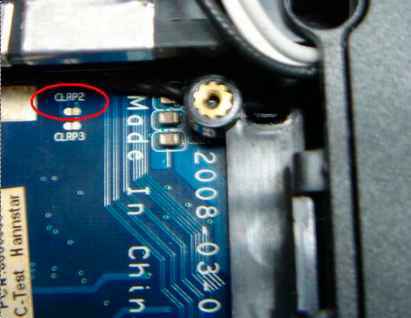 Replace both speaker modules as shown. 2. Insert the cables flush with the connectors. 2. Insert the cables flush with the connectors. 3. Replace the adhesive strip to secure the cabling. 4. Replace the four securing screws. 3. 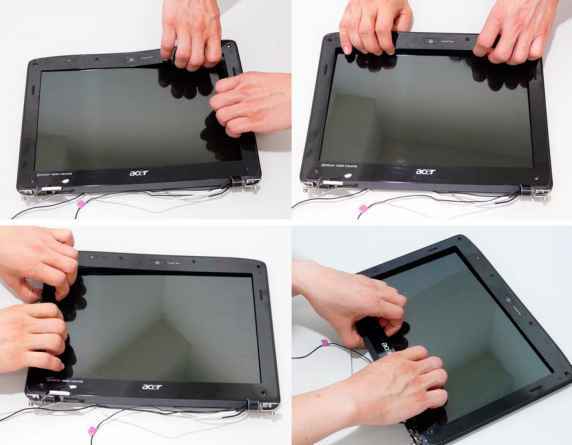 Replace the adhesive strip to secure the cabling. 4. Replace the four securing screws. Slide the HDD in the carrier as shown. 2. Replace the four screws two on each side securing the hard disk to the carrier. 1. Slide the HDD in the carrier as shown. 2. 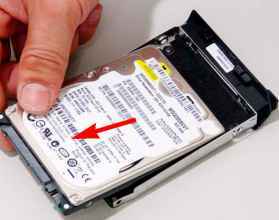 Replace the four screws two on each side securing the hard disk to the carrier. 3. 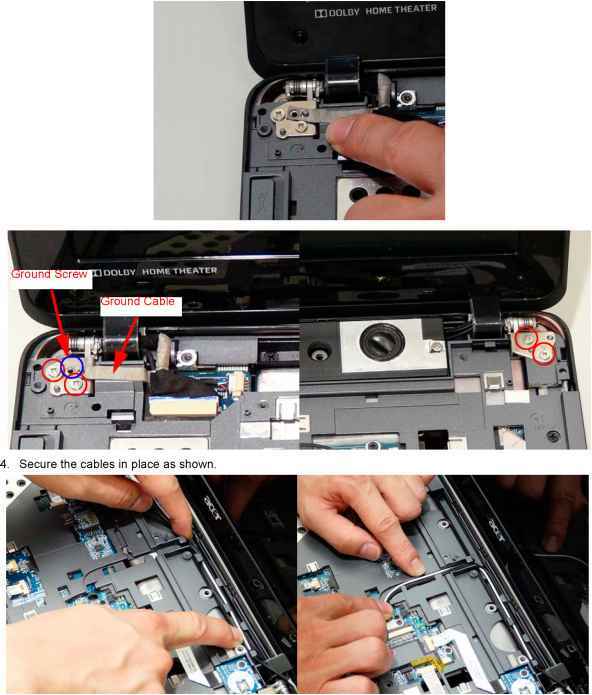 Replace the HDD in the bay as shown. 4. Replace the three securing screws. 3. 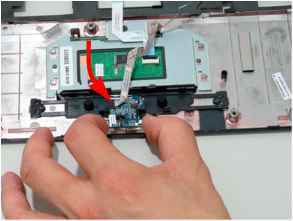 Replace the HDD in the bay as shown. 4. Replace the three securing screws. See Removing the Battery Pack on page 44. 2. Remove the Memory Cover. See Removing the Lower Covers on page 47. 3. 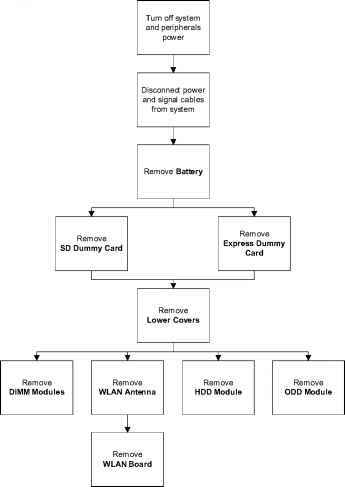 Disconnect the 2 antenna cables from the WLAN board. NOTE When replacing, connect the black cable to the MAIN and the white to the AUX connector. 4. 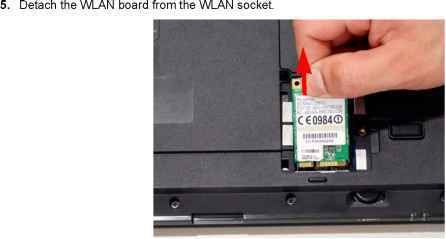 Move the antenna cables away and remove the two screws on the WLAN board to release the WLAN board.